Many years ago, Father Titus Oates, then Rector of St. Thomas’ Church, suggested that the parish undertake a project that would create needlepoint kneelers for the pews as well as for the High Altar, Choir and Chapel. 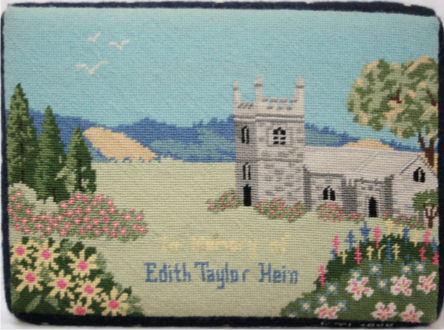 Such beautiful needlepoint would be dedicated to the glory and worship of God and complement the magnificent English architecture, the rich interior wood carvings and colorful and symbolic stained glass windows of St. Thomas’ Church. 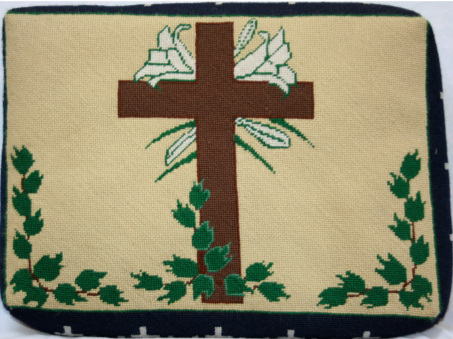 These needlepoint cushions would not only used for kneeling in prayers but represent many of the symbols of Christian worship. 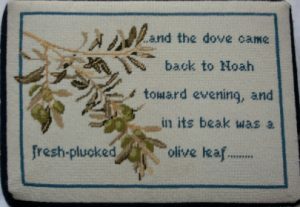 Needlepoint is an art form of the precise work of minute details. It is painting with colored wool on canvas and each stitch must be carefully placed to achieve the completed effect. Many of our kneelers incorporate our Christian symbols that not only add beauty to our church but also give a deeper meaning to our services. 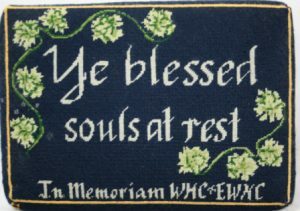 Some kneelers depict local scenes or objects that are of significance to those who worked the design or of the person in whose memory of honor the cushion was given. Thousands of stitches have been worked by the men and women of St. Thomas’ and others in the community who wanted to help with the project. The hours of labor and love are immeasurable. 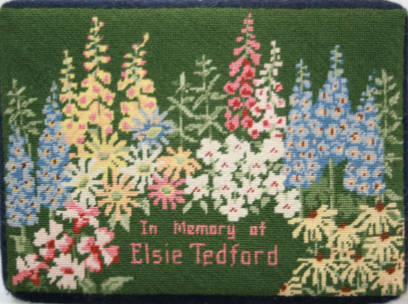 As we see the kneelers in the church or as represented in this directory let us remember the many people who worked on these designs. 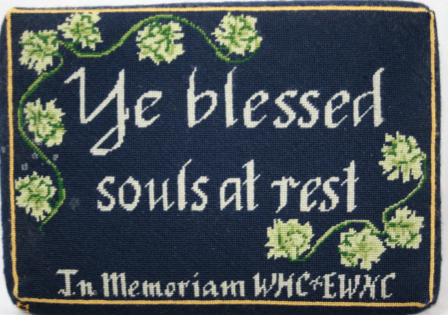 Also we should remember those in whose memory or honor many of the kneelers were done. As these designs were worked, thoughts and feelings must have come to mind that came from love, sorrow, happiness, reverence — feelings too deep for words. 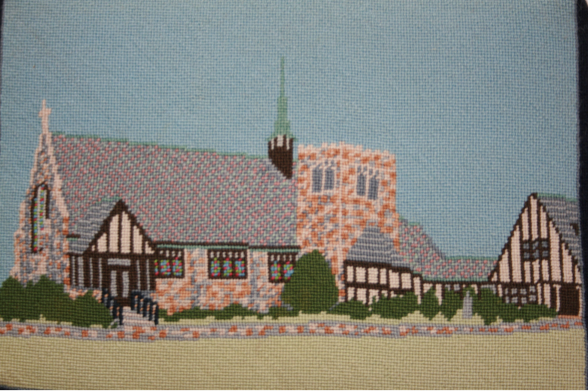 This needlepoint project of St. Thomas’ Church would not have succeeded without the dedication and love of Opal Tucker (1910-2000). Working with Father Oates she organized the whole project, sought out people to work the designs as well as completing over 31 kneelers herself, some that she designed as well. 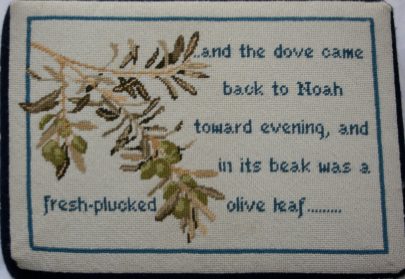 She also compiled a photo directory with a short description of each kneeler. 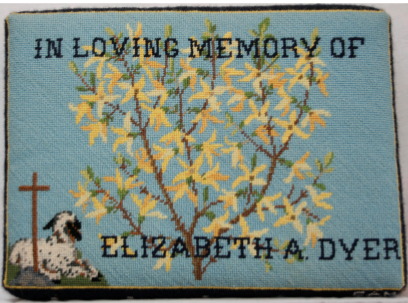 Her directory is the basis for the book, Stitches for Glory of God. We are forever grateful to Opal for the legacy that she has left us. These stitches for the glory of God and the labor of many faithful hands have created a tangible and lasting gift of beauty for those who will worship here in the future. 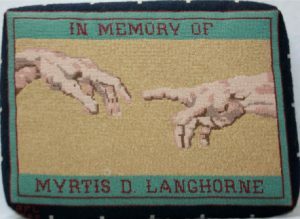 The needlepoint of St. Thomas’ Church links its creators to future generations. Thanks be to God! This 110 page, full color book can be ordered from the Parish Office at St. Thomas’ Church for $30.00 per copy.